Now a Joker-Harley Quinn spin-off film is in the works. In more “why is this happening” news. It’s just been announced that Warner Bros. is developing an untitled tentpole movie starring Jared Leto as the Joker and Margot Robbie as Harley Quinn. Leto and Robbie will reprise the roles they played in the studio’s 2016 super-villain mash-up “Suicide Squad.” The project is separate from the recently unveiled standalone Joker solo movie being developed as a potential directing vehicle for Todd Phillips of “The Hangover” — which will not star Leto. Quinn is currently preparing for an all female villain mashup in “Gotham City Sirens” where she will also reprise her role of Harley Quinn where she will team with Catwoman and Poison Ivy. The other two respective roles have not yet been filled. With the whirlwind ride the DCEU is on are you looking forward to this potential addition to the universe . Is there any more apt a name for a movie franchise right now? According to Deadline, Jaume Collet-Serra is going to be directing Dwayne Johnson in Disney’s, The Jungle Cruise, making him unavailable to helm the follow up to Warner Brothers money-making, but not so great bad-guy team-up. Collet-Serra had been seen as the front-runner for the film prior to this announcement. At this point, they’ve lost Mel Gibson, Ruben Fleischer (Gangster Squad,) and Jonathan Levine (Warm Bodies) and as studios usually like to announce release dates with the signed director, we’ll be waiting on when we should expect this film until they figure this one out. A better idea may be to take after the name of the movie itself, and cut their losses now. Your thoughts? Well Harley Quinn (Margot Robbie) is getting her spin-off movie but it wont be a solo flick. It looks like this time she will have some company. 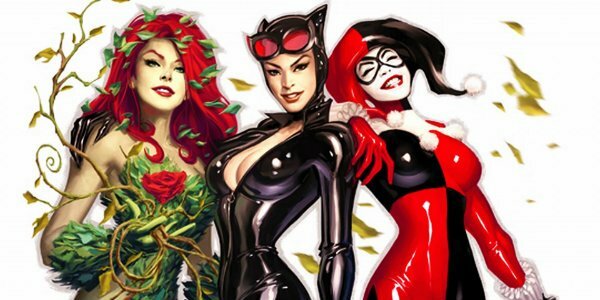 The Spin-off the hit movie “Suicide Squad” with be a female trio known as “Gotham City Sirens” as is set to be directed by the director of Suicide Squad “David Ayer. Along with the psychopathic psychiatrist will be Catwoman and Poison Ivy. Margot Robbie will serve as Executive Producer on this film and the screenplay is set to be written by Geneva Robertson-Dworet, a top female writer in the action sphere who also has penned scripts for the Tomb Raider remake and Sherlock Holmes 3. Its no secret that The Trusty Sidekicks, myself and Bobby Hill did not think this was an interesting movie at all (and neither did many movie critics and fans as well). But that hasn’t stopped the action packed ensemble from bringing in money at the box office. The Warner Bros. picture has passed the $600 million mark worldwide going into its fourth weekend of theatrical release. The films director, David Ayer (who we are so disappointed in) Made the milestone announcement via Twitter.